Abu Dhabi: Kizad (Khalifa Industrial Zone Abu Dhabi) will hand over warehouses spread across more than one million square feet in the Kizad Logistics Park (KLP) to tenants this month, the chief executive said in an interview on Sunday. Khaled Salmeen said the majority of the pre-built warehouses, spread over 1.3 million square feet, were leased out prior to handover. “We did not expect to get to the situation where before we finished the project with over 80 per cent leased out,” he said. The first warehouse was handed over last week and a further 10 will be handed over this week with the rest to be staggered throughout the month. The 1.3 million square feet of pre-built warehouse space is just the first of a six-phase plan to develop KLP within Kizad. Each phase will be around 1 million square feet, Salmeen said, and takes around nine months to construct. Salmeen said demand for phase one has encouraged Kizad to look at starting the development of phase two in either the second of third quarter. Kizad is being developed by the Abu Dhabi government as part of its economic diversification strategy away from the oil & gas sector. The industrial zone is located next to Abu Dhabi’s Khalifa Port, which was developed to move container movements out of the city and maintain growth. Salmeen said the tenants of the pre-built warehouse in KLP are a mix of existing tenants from Abu Dhabi’s Mina Zayed port, located in the city, and new customers to the emirate. 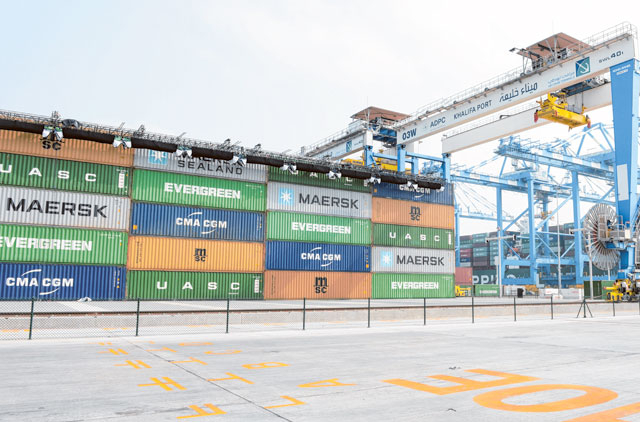 There are around 400 warehouses in the Mina Zayed port occupying an area of over 8 million square feet, Salmeen said, with many of them setting up over 30 years ago when the port was the main thoroughfare for the emirate’s shipping container traffic. “As most of that business, in terms of container business has moved to Khalifa port, we need to find an alternative for them to be able to be next to the port and I think that the Kizad Logistics Park does that,” Salmeen said.